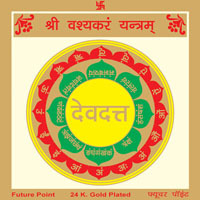 By worshipping this yantra one is blessed with health, wealth and happiness, good fortune and fame. It wards off evil effects such as fear of ghosts, accidental death and diseases etc. 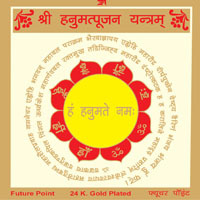 By worshipping this Sampoorn Rog Nashak Yantra one is free from miseries and troubles. It also ensures freedom from fear of death, chronic diseases and grave dangers. 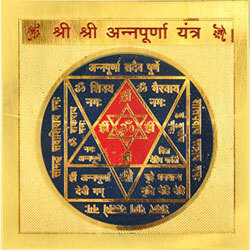 By worshipping this yantra one is blessed with siddhi, success, prosperity and it helps in all direction and every sphere of life. 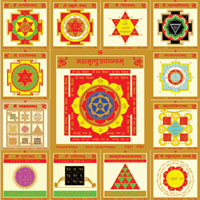 It is made up of Maha Mrutyunjay Yantra, Matsya Yantra, Kal Sarp Yantra, Ganpati Yantra, Vastu Yantra, Rahu and Ketu Yantra, Shani Yantra, Vahan Durghatana Yantra, Vashi Karan Yantra, Nav Grah Navdurga and Bagla Mukhi Yantra. Om Hraum Joong Sah. 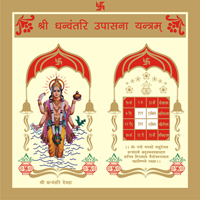 Om Bhur Bhuvah Swah. Om BhurBhuvah Swah Om Hramm Joong Sah Om.